The 9th Annual Hooley on Hudson will take place this Sunday, September 5th in the Rondout. Read all about it by following this LINK. The next Ulster County Transportation Council (UCTC) Policy Committee Meeting is scheduled on Tuesday, August 31st 2010. It will be held at the SUNY Ulster Campus, Howard St. John Conference Room, Clinton Hall, Cottekill Road, Stone Ridge, NY. from 10:00am – 11:30am. 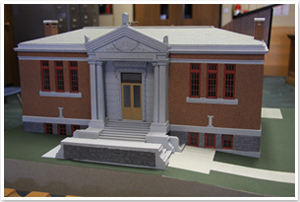 If you have any questions, please contact either Dennis Doyle or Bill Tobin at (845) 340-3340. 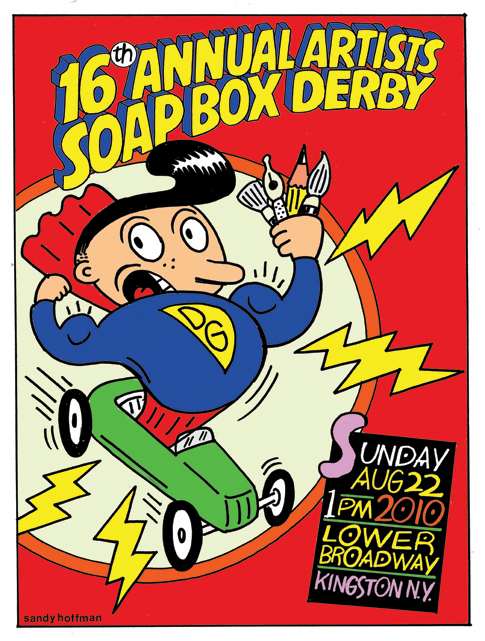 The 16th Annual Soapbox Derby takes place tomorrow (Sunday), August 22nd 2010 at 1:00pm. Anyone else wonder how Nancy Donskoj does it all? Give her a hand by making any size donation. You’ll find a ‘How You Can Help’ link at the website. This past Thursday, the Conservation Advisory Council (CAC) hosted a Public Visioning Session on August 19, 2010 to plan implementation of the recently passed Climate Smart and Green Jobs Community Pledge. With public participation, the Pledge aims to reduce Kingston’s electricity use by 15% by 2015 while simultaneously developing a green economy. 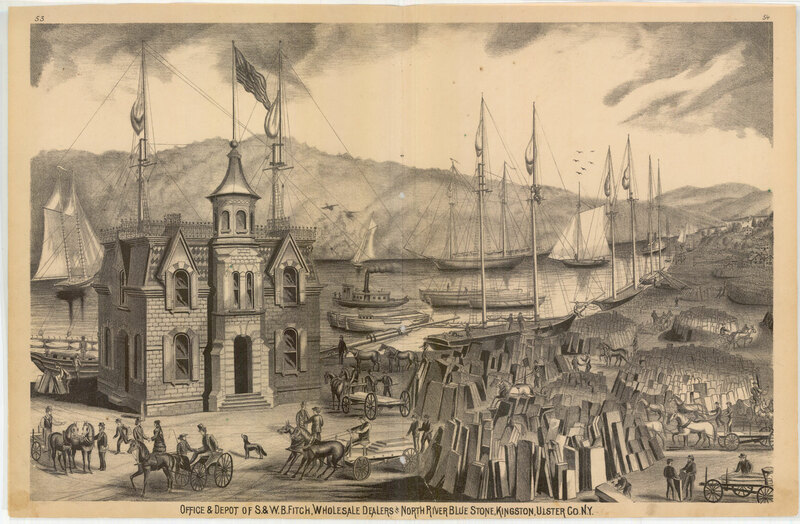 How many of you are familiar with the city of Kingston’s Bluestone and its history? Whether you are a novice or an expert on the subject, plan on visiting the annual Bluestone Festival on Sunday, October 3rd at the Maritime Museum in Kingston. KingstonCitizens.org was able to have a quick sit down with organizer Ed Pell on how you can participate and what you can expect this year. Kingston Residents: Interested in Helping to Developing Walking and Biking Trails in Ulster County? For residents who are interested in developing walking and biking trails in Ulster County, here is a LINK to American Trails’ Web page with 50+ articles/ research studies on the economic benefits of such trails. This Web page includes links to studies in the following categories: “Tourism,” “Benefits,” “Business,” “Valuing Trails,” and “Studies.” Here is a sampling of the studies listed in their respective categories. Some of the studies in “Valuing Trails” and “Studies” are of particular interest to those concerned with property values. Today at 2:00pm (Wednesday, August 18th) there is a groundbreaking for construction at the Kingston High School campus at 403 Broadway. Read the press release HERE and see you there. Fresh off the presses is Zagat’s fast food survey, which names Five Guys Burgers and Fries as its top choice in the U.S. — beating out California-based In-N-Out Burger as well as McDonald’s, Burger King and a host of other chains. After the news item here hit the wires, there was a flurry of inquisitions for where Five Guys is located. It turned into a top search on Yahoo! by Tuesday afternoon. All anyone knew about the fast food chain was that our President enjoyed the food there once. And you know what? 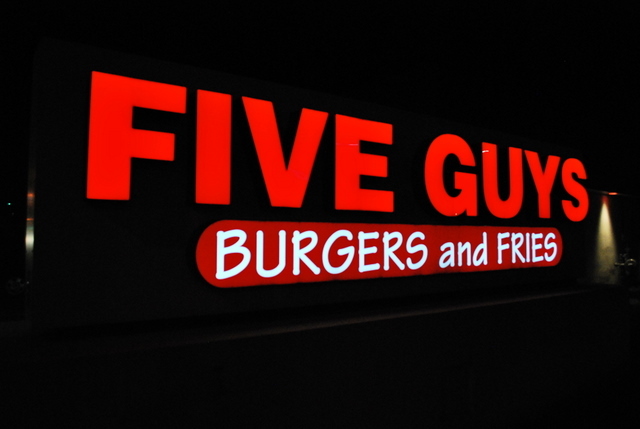 We’ve got a Five Guys right here in Kingston, on Ulster Avenue by the mall. Last year when it opened, I told a friend who frequents one in New York City. He says the line out the door of the joint is a block long during lunchtime. No wonder. Join the Kingston City Gardens Coalition on a free bike tour through historic Kingston to see community and school gardens – as well as potential sites for gardens – this Sunday, August 22 at 10 a.m. The tour starts at Forsyth Nature Center and ends down on the Rondout in time to enjoy the annual Soap Box Derby. The tour is a great way to see the gardens and learn some Kingston history while also avoiding the traffic congestion of the annual derby. Anyone interested in joining the tour should have a bike in good working order and a helmet as well as food and water. Please meet near the entrance to the Forsyth Nature Center promptly at 10 a.m. No reservations are necessary. There are many good works underway in the city of Kingston in the midst of some pretty tough economic times. For instance, stewards of the ‘Project Forsyth’ program are working to gain a substantial grant to update the park at Forsyth in Kingston for all of our families and visitors to enjoy. 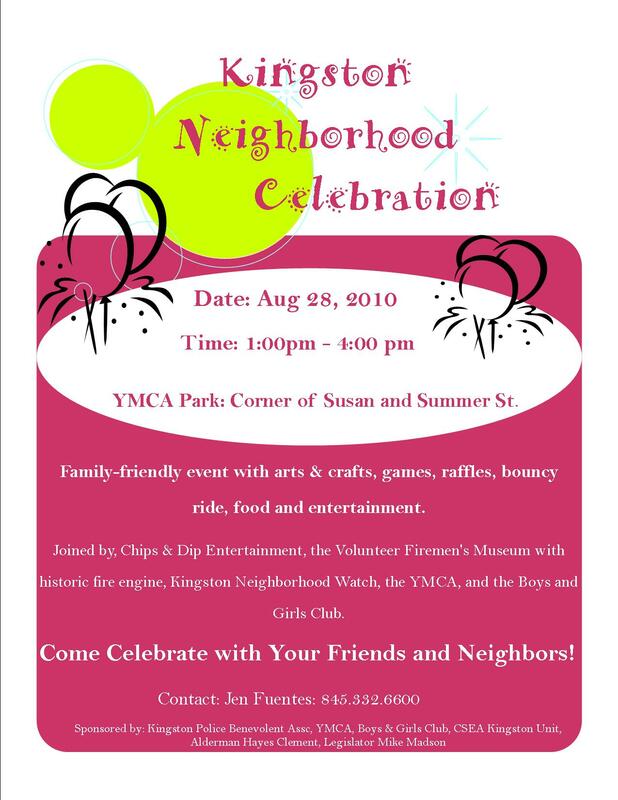 Forsyth is a premier location that hosts our city zoo (with a wide array of rescued animals ranging from bulls to peacocks), nature center, open space, tennis courts and children’s playground. The musicians living in the city of Kingston is really astounding. Artists such as Tony Levin, Gail Ann Dorsey, Larry Grenadier, Peter Wetzler, Vicente Archer, Peggy Stern and many more all call Kingston home. It’s fitting that series such as the one we’re posting today are sprouting up here at home. Follow this LINK to watch their last series performance. In the early morning hours on Monday, August 9th Kingston lost a committed city resident. What’s more, is she happens to be the mother of Diane Reeder, founder and executive director of the Queens Galley. I loved my time in getting to know Rose and her loving partner Farmer Frank Nazarro. Together, they helped shape the garden program in the city of Kingston, delivered countless truck loads of food to all the area soup kitchens, and were always ready and willing to lend a hand to anyone in need in the community. Services are open to all on Saturday, August 14th. A wake and Funeral for Rose will begin at 11:00am. A reception to mourn and to celebrate her life will follow at 721 Media by the rooftop garden. Visit this LINK to view her obituary, sign the guest book and to get more information on the weekend services. The Business Alliance of Kingston has taken the time to post the results from the visioning session at Kings Inn last month. There are pictures, explanations and more to what each group created together.